Free service allowing IncParadise’s customers to store documents for their company on our servers. These documents will be available to you anytime, from any web browser. When you incorporate with us we always upload copy of your Articles of Incorporation. When you order EIN service with us we upload EIN (Tax ID) form there. 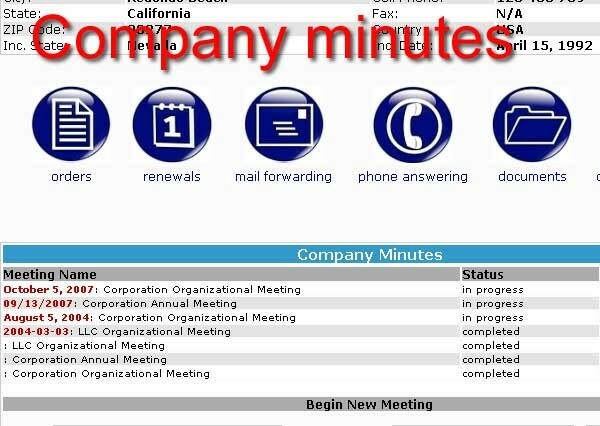 Company minutes are uploaded in your account. 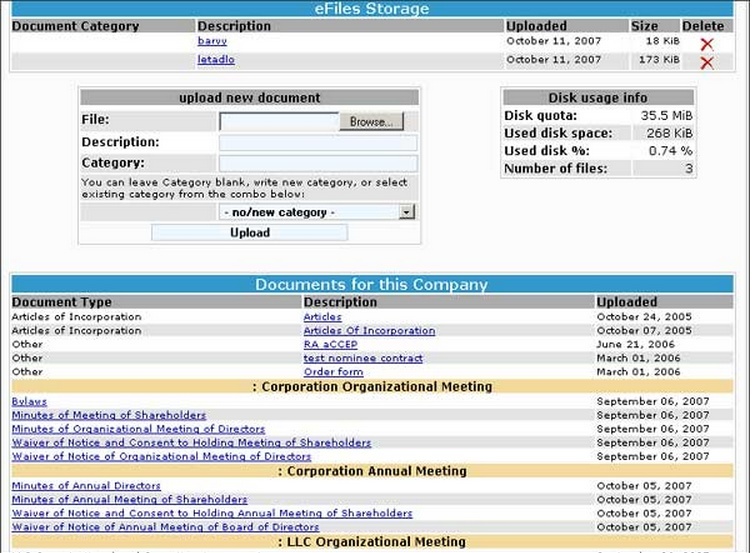 And you can upload any important document for your corporation or LLC. It is FREE! Your IncContact account is automatically created for each IncParadise customer. Free service for IncParadise customers. Login to IncContact to access it. – We will prepare annual corporate minutes (meeting of shareholders and directors) for $20-$25. – You can do minutes for all your companies for one low flat fee of $20 if you login to your customer (IncContact) account. – We always save a copy of your Articles in your customer account, when you incorporate with us. Just login there to access it.